At Daisy Blue Naturals, we believe in living life naturally. When it comes to skin care, that is no exception. Certain skin types require certain skincare products - and in order to get the best skincare possible, you'll need to understand which category your skin falls into. But how do you know? Knowing the answer to this important question can help you pick the right products and cleansing routines, and take better care of your skin. Download our free guide by filling out the form to your right! YES! 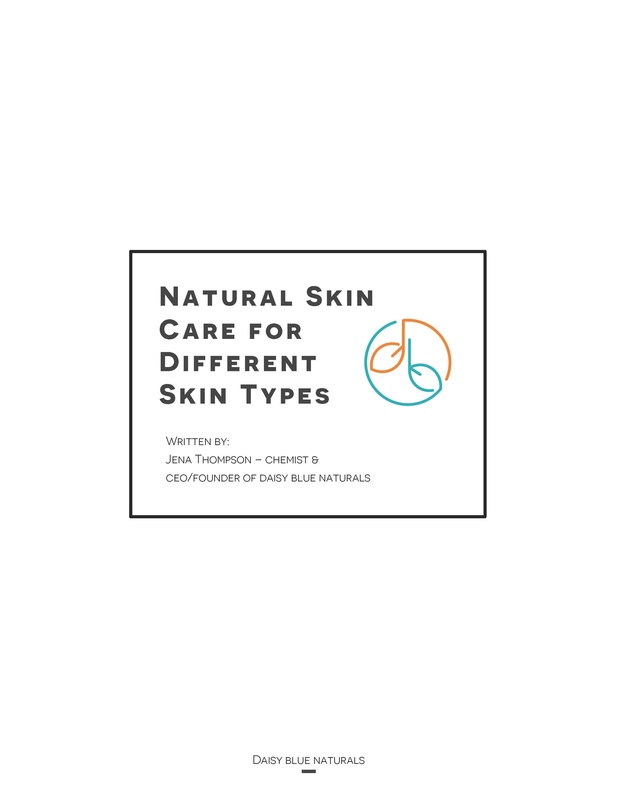 I'd like to learn which natural skin care is right for my skin type! Copyright © 2019 Daisy Blue Naturals, LLC.